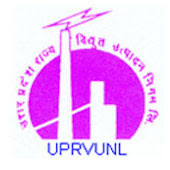 Online Application Details for Uttar Pradesh Rajya Vidyut Utpadan Nigam Limited UPRVUNL Recruitment of Company Secretary is given below. Application form and duly attested documents are to be sent to Secretary, UP Rajya Vidyut Utpadan Sewa Asyog, UP Rajya Vidyut Utpadan Nigam Limited, Room No. 1025, 10th floor, Shakti Bhawan Extn., Lucknow-226021. In envelope super scribed with 'Application for the Post of Post Name'.